Much of the talk about Gen Z has been about how they are so different from Millennials or Gen X. But at the core, are they really so different? Yes, Gen Z has distinct characteristics that are unique from previous generations, but we are all created by the same God — all our souls have a need to be loved, to be heard, to be seen, and to be known. The people of this new generation – just like the members of previous generations – want to know that they are valued and wanted. Here are some things that my Gen Z clients have told me. Aren’t these all things you’ve experienced too? I certainly have. The truth is this: We all have innate needs — God-given, I might add — for love and security and value. These needs are at the root of our hearts, and when we don’t get those needs met, we feel afraid, disappointed, and unwanted. It soon manifests in behaviors that attempt to lessen or get rid of the pain of being pained, alone, and unloved. This recognition of the ways in which our generations are the same is such an important truth for us to remember. If we believe that our kids are totally different from us, then we’re going to think that they’re a totally different species or even crazy. And if we think that they’re crazy, then we’re going to treat them like it. How much hurt would I have added to my clients’ lives if I had responded to their vulnerabilities as though they were crazy, especially when they’re not? We must remember Generation Z are partakers with us in the human experience. I believe this is especially important for parents to know because they are in a unique position to meet the needs of their children. Now obviously, I’m not saying parents can do this perfectly all the time. Let’s be clear: no one but Jesus can ultimately give to us perfect security, love, acceptance, and value. But I have seen what happens when a parent communicates to his or her child that he matters or that she is important. It is powerful when parents can provide for their children a glimpse of what Jesus gives to us. So parents, I want to talk directly to you. When you connect with your children with what their soul need, that relationship is what we can call ministry. But how do we get there? Let’s look at two different Jesus-Parent-Child relationship views. I think the most common view that parents have is that children are an extension of who they are, and together they go to Jesus. This view makes sense. Your children have literally come from your DNA. They look like you, talk like you, and live with you. So why wouldn’t you see them as reflections of who you are? In this view, you do your best to rally your offspring toward Jesus and teach them about Him - which is great! You read them Bible stories, teach them Biblical values, and guide them through prayer. You bring them to church, participate in VBS, and have family worship. All of these things are good, but what happens when your kids get older are harder to connect with? That’s when view #1 doesn’t always hold up. When children grow into teens and start to make their own opinions, parents who use view #1 as a guide can start to feel a lot of pain. As kids begin to seek greater independence from their parents, it can be difficult to make sense of what is going on, especially if those decisions completely go against what has been taught to them. Parents can often feel like their children’s wrong decisions are a personal attack against them. It is completely appropriate for teens to begin differentiating themselves from their parents. And yet, parents can feel vulnerable to their kids’ behaviors during this time. Parents may start to attempt controlling their child’s behaviors and choices by implementing impossible restrictions, and when that starts to fail, the parent may feel guilty, embarrassed, or even ashamed. It is tempting to use your children to either validate or recreate your identity if you only see them as an extension of who you are. So we need another model. In situations where view #1 fails, consider that perhaps you as the parent, can be an extension of Christ to minister to the child. If your child is no longer a walking advertisement or a PR statement about your parenting or your character, then you can start to treat him or her as his own person – to love, counsel, and comfort. This is especially important to remember because whether you like it or not, you are the first lens through which your children will see Jesus. You are the first example of authority in their lives, and if you portray an unforgiving or insecure authority figure, it’s all too easy to assume that God must also be unforgiving and easily offended, too. The good news is that the opposite is true as well — if you strive to be kind, generous, forgiving, and caring about your child’s pain, then it’s not so hard for your child to imagine that God is that much more loving and attentive to our needs, joyfully and generously giving us all good things. Let’s take a moment here to consider the developmental stage of adolescence in general. During this phase of development, a teen’s prefrontal cortex has a major growth spurt, and for a few years, it can feel as though he or she has become this whole other person. The Prefrontal Cortex is the part of our brain we use for executive functioning. It’s in charge of how someone uses logic, thinks through choices and their consequences, emotional regulation, goal-setting, attention, and impulse-control – all things that are really difficult to do as teens! So physiologically, teens are going through a pretty rough time. Not to mention, this is the time in their lives when they are not quite adults yet, but they are expected to start acting like one. They have all these thoughts and ideas of their own, but no power. Teens are often non-verbal. They are irritable and want nothing to do with their adult influences. They are more peer-driven than family-driven. While this doesn’t excuse teens from inappropriate and sinful behaviors, the main point here is that it is a difficult stage for teens and an extremely confusing time for parents. So being a parent of a kid like this — it’s crazy-making! My most embarrassing and shameful moments were during my teen years, so I do not blame any parent for having a rough time with their teens. Because of Jesus, there’s hope for every child and every parent. Jesus is God meeting us in our most embarrassing and shameful places. He is not of us, but he became one of us to be with us in our state of brokenness, pain, and need. His ministry was marked with authority, truth, and love when we didn’t deserve it at all. Romans 2:4 tell us that God’s method of leading His people to repentance is kindness. So parents, I am fully convinced that when you sit with your hurting child and listen, when you cry with your child because of a loss, or hug them when they are ill, you are being Jesus to your children. When you speak truth with love, you are doing what Jesus would do. I think Mr. Rogers said it best. "Love doesn't mean a state of perfect caring. 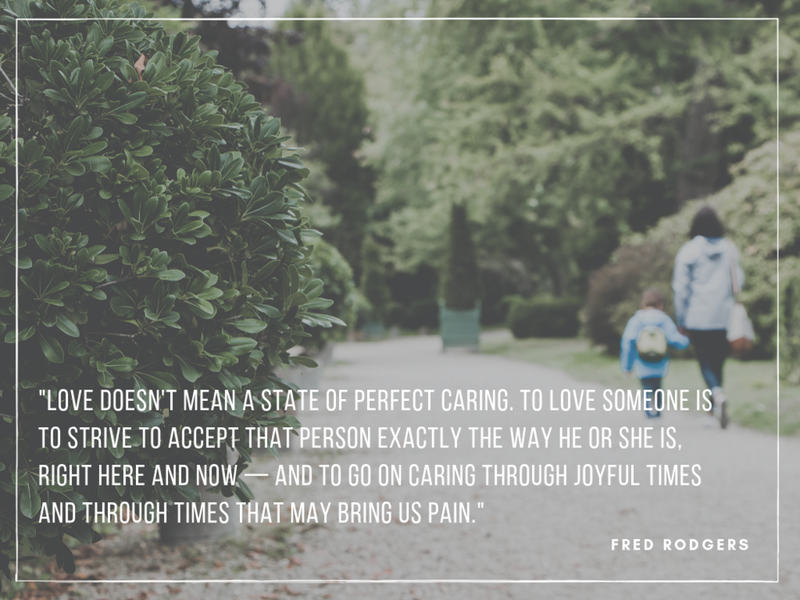 To love someone is to strive to accept that person exactly the way he or she is, right here and now - and to go on caring through joyful times and through times that may bring us pain." So what does this kind of parenting look like? In Part 2, I will share some practical things you can do to both affirm what you may already be doing, as well as to give some additional ideas in case you want to do more. Part 2 will be released on Friday. 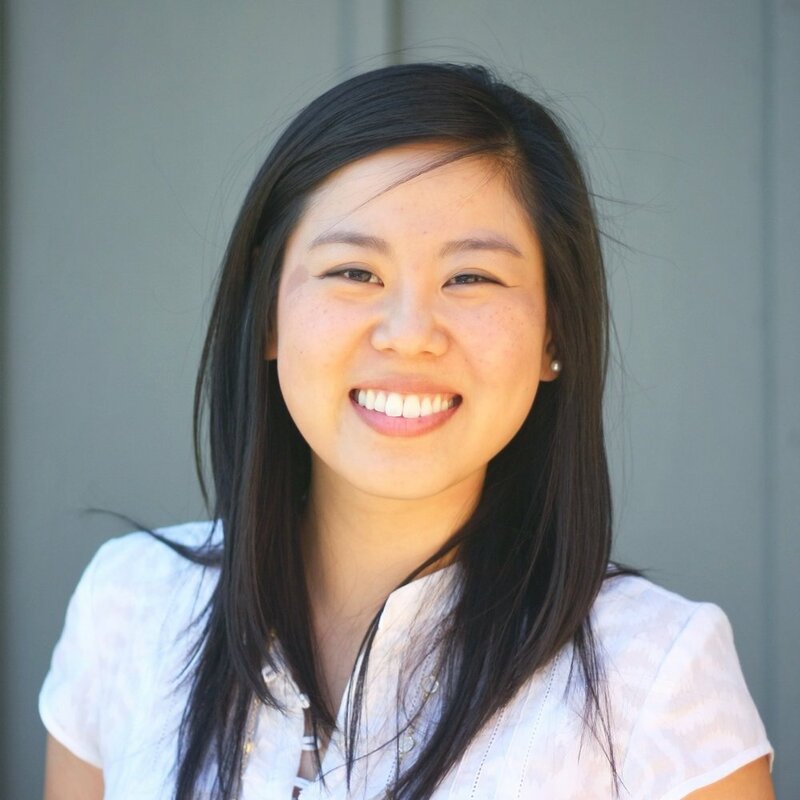 Eunice is a Licensed Marriage and Family Therapist by day and an avid knitter by night. She graduated from Fuller Theological Seminary and has a passion for where mental health intersects with church ministry. She is married to her favorite person, David "Slim" Kim. Together they serve at Living Hope Community Church in Brea.